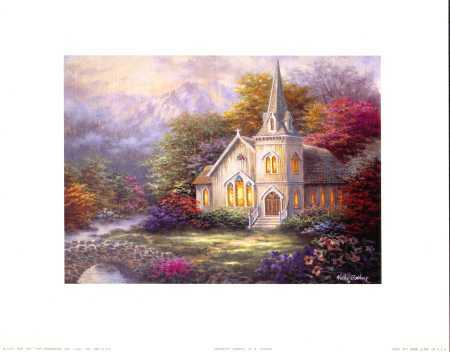 Small country church sits amidst gorgeous flowering bushes and trees. Soft light emits from its many windows. A small stone bridge straddles a creek in the foreground , with a large mountain range in the distant background.